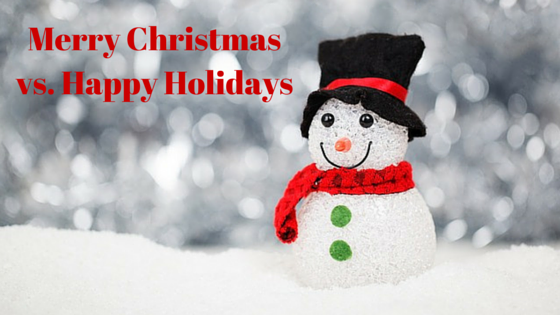 Holiday Marketing: "Merry Christmas" vs. "Happy Holidays"
Posted December 23, 2014 by Emily Adams . But why did this happen? And what does it mean for your business? According to a recent poll from Pew Research, 9 out of 10 Americans celebrate Christmas. Of course, there are also people who celebrate other holidays, like Hanukkah or Kwanzaa, or none at all. Most brands abandoned the phrase “Merry Christmas” in an attempt to avoid the religiously charged holiday association. And while, yes, Christmas is a Christian holiday, many of the people who celebrate Christmas view it as more of a cultural holiday than a religious one (about 32%, according to the same Pew survey). Lights, trees, wreaths, ornaments, gifts, cards, carols – while many of these things do indeed have ties to the religious aspects of the holiday, but many also represent this festive season to those who don’t consider themselves religious. Christmas decorations and activities are a way for families to celebrate the season – their meaning is broad, complex, and personalized to each family and individual. Ignoring and avoiding the religious importance of this season is not always the best practice. By attempting to avoid marginalizing those who practice other faiths or who don’t consider themselves religious at all, many brands have instead marginalized the 92% of customers who do celebrate Christmas – religious or not. So this season, relax and enjoy the celebrations. Consider the needs and values of your customers, not just this time of year, but every time you communicate with them, every time you serve them, and every time you market to them. 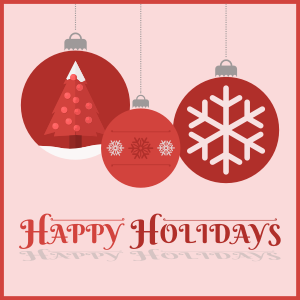 From all of us at Automated Marketing Group – Happy Holidays, Merry Christmas, and Seasons Greetings. Wishing you and your customers a very joyous season.